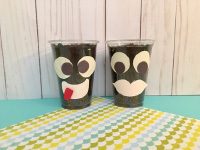 These adorable grass cup faces are a fun spring-themed craft. Kids will love caring for them and watching them grow. Draw all the face parts you want to use for your project (lips, eyes, noses, eyebrows, etc.). You could also use big googly eyes or eye and mouth stickers to make this step a bit easier. 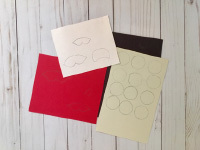 Cut out the paper shapes. Older children can complete this step themselves. Younger children may need some help. 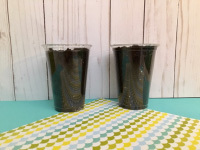 Fill the cups with dirt. This step can be done after the faces are made, but I like to do it first, so that no dirt gets on the paper face parts. 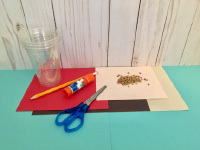 Next, have children glue the paper face parts onto the cups and plant wheatgrass seeds. That’s it! 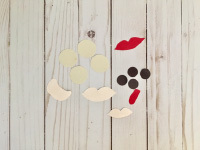 This is a fun spring craft that’s easy to create! Kids will love watering their new friends and watching them grow. Once the grass is long, they will love giving them a haircut!